"Database tables are using MyISAM database engine, it is recommended to use ACID compliant engine with full transaction support such as InnoDB." 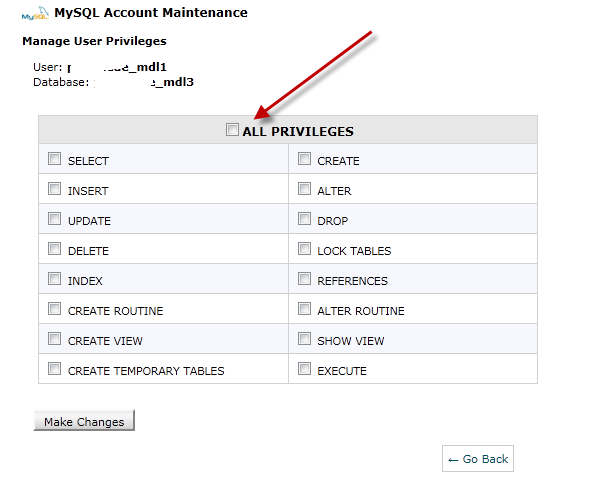 In my previous post I mention that you can change the MyISAM database engine to InnoDB using phpMyAdmin : Convert MyISAM to INNODB using phpMyAdmin for Moodle but it will take some time to change each table one by one. 2. It shows how to import the database but not showing what are the limitations involved in when you host Moodle in shared hosting environment. 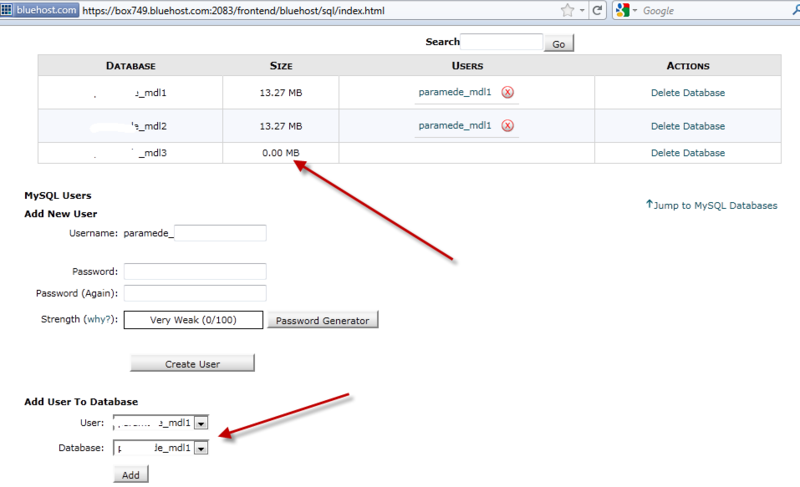 My current Moodle site is hosted at http://www.bluehost.com and I installed Moodle using Simple Scripts. 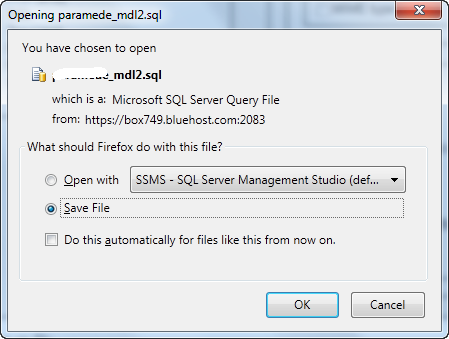 When you install Moodle using Simple Scripts, it will create MySQL Database and User name by default. 1. Login to your control Panel. 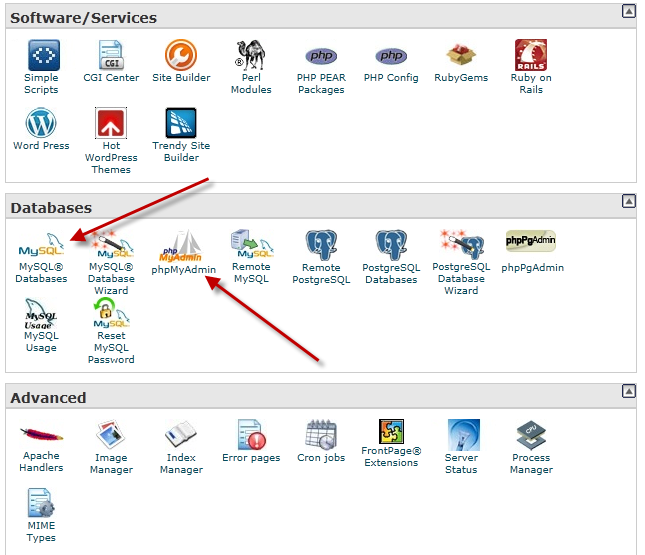 Go where it says Database and you can see MySQL Database and phpMyAdmin. 4. 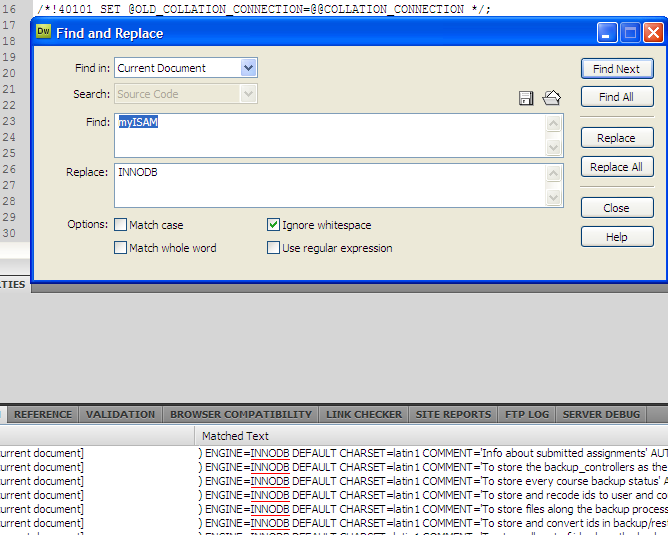 Open your database file in any tools which you have. In my case, I am using Dreamweaver. 6. Now go to the end of the file and enter COMMIT; and save your file. 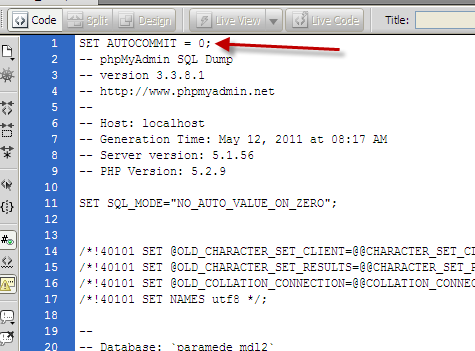 Now are going to import this file into phpMyAdmin but before we do that we have to drop the current database. 7. 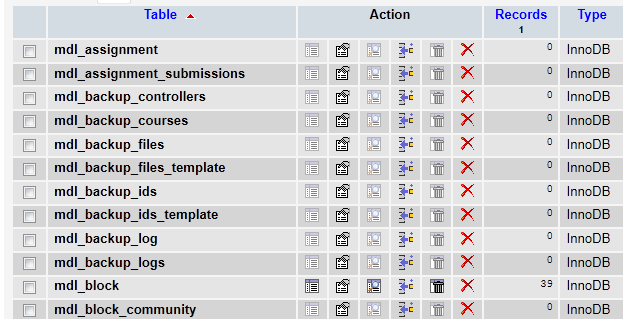 Go back to phpMyAdmin, Since I am hosting my Moodle in shared hosting I don’t have any options to drop a database. 11. Now create a new database but the name should be same as the one which you deleted. Add user to Database. 12. When you add user to Database and give all privileges. 14. 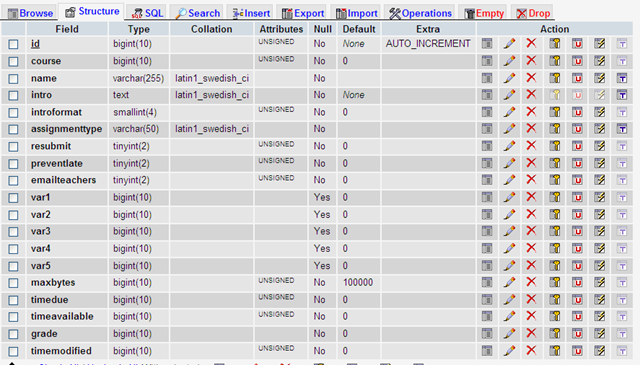 You can see the Database from MyISAM to INNODB are changed. If you open your Moodle right now it should work and you wont’ see the error message any more. This is how you can change your MyISAM to INNODB. 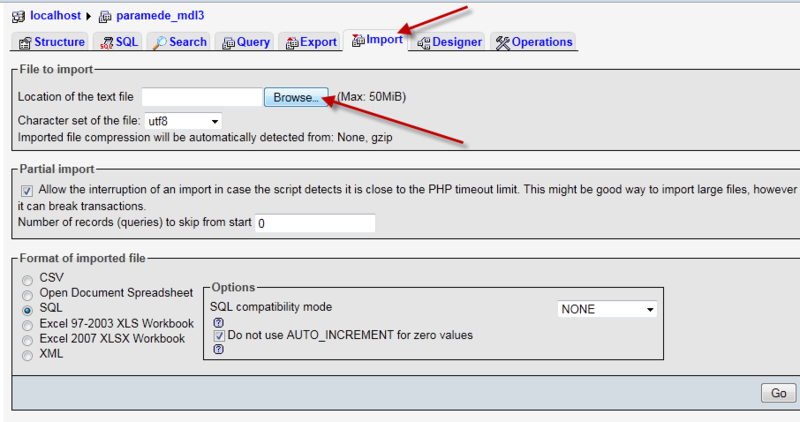 How to convert from MyISAM to InnoDB using phpMyAdmin? When Installed Moodle 2.x, following message are showing up in the font page of Moodle. Database tables are using MyISAM database engine, it is recommended to use ACID compliant engine with full transaction support such as InnoDB. When searched for “convert MyISAM to InnoDB using phpMyAdmin” in Google, I got many responses and I also found a link from Moodle which didn’t help me at all. 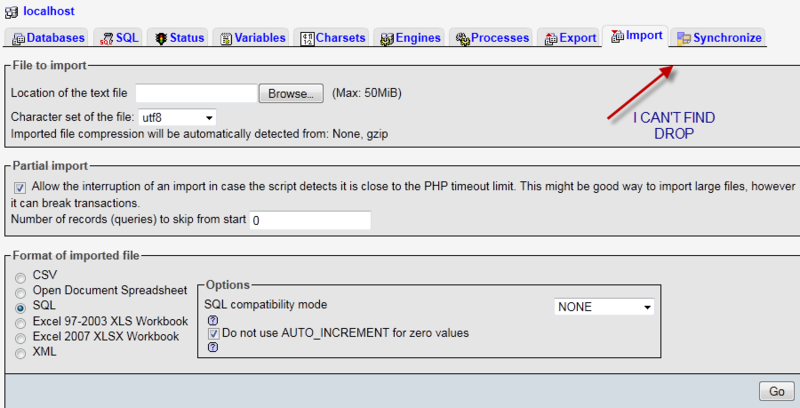 You can convert from MyISAM to InnoDB in phpMyAdmin with just a few clicks. To convert your data tables from MyISAM to InnoDB in phpMyAdmin, you will select the table, click the “Operations” tab, and then choose InnoDB from the drop down box next to the “Storage Engine” type. Click “Go” and you are done! 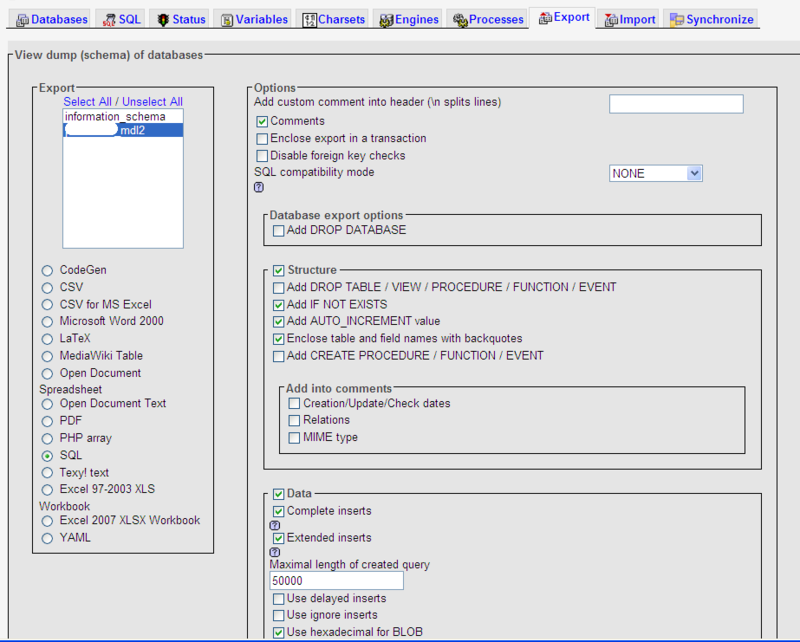 Using this method you can easily convert your database from MyISAM to InnoDB using phpMyAdmin.